Cold Womb featuring recent work by the Push Pop Collective will open at Local Project this Saturday July 2 at 7pm. In this unique exhibition, the Push Pops will exhibit for the very first time footage from their two most recent performative sculptures ’Block Watching’ and ’Imaginary Picnic’ as a 5-channel installation alongside physical relics and video documentation of selected past works. Free limited edition posters of all past projects will be available at the opening on a first come first serve basis. 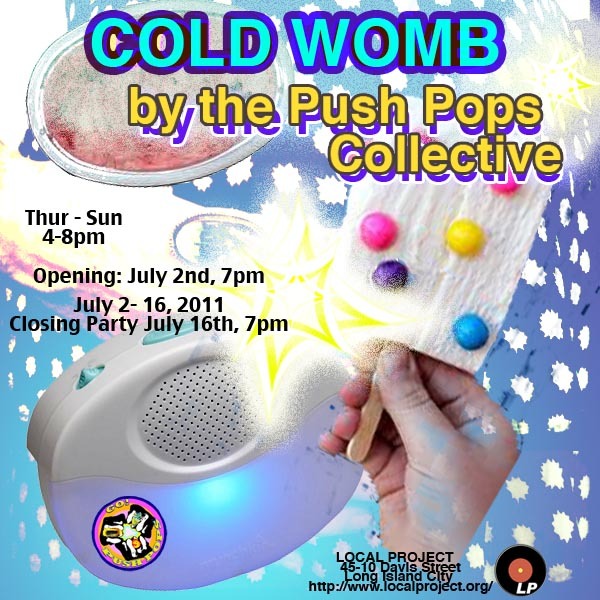 And don’t miss the secret interactive community event hosted by the Push Pops on July 16th (more details to come soon)! Situated adjacent to the PS1 Contemporary Art Center, Cold Womb’s opening party corresponds with PS1’s very first Warm-Up of the season. Shake it off and jerk it cuz we got drinks, fierce ladies, and a DJ all day long!